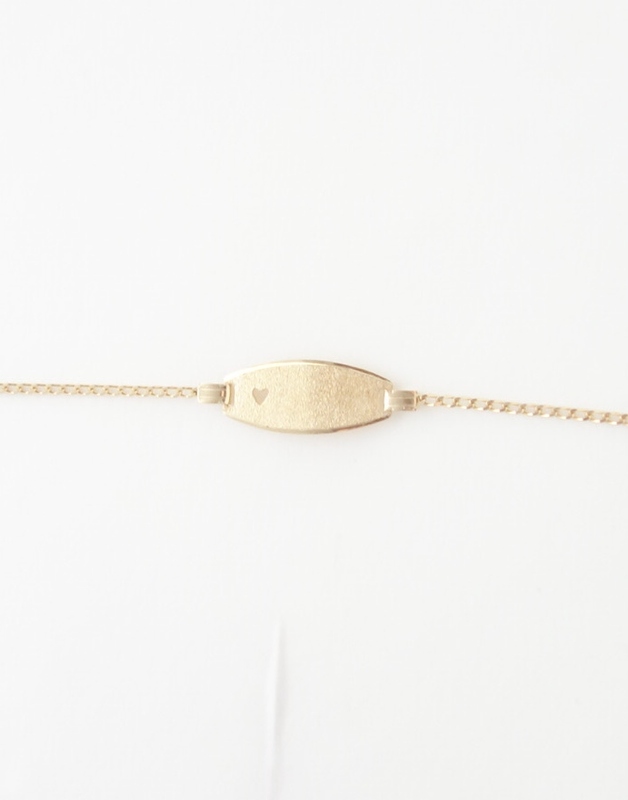 A cute 10k bracelet has an I.D. plate that has a matte finish on the front side but polished on the back. The heart provides a charming touch to a simple barcelet. All prices are in Canadian dollars. These delicate but simple 14k white gold hoop earrings were made in Italy. They make a great gift for people of all ages, from babies to adult women. 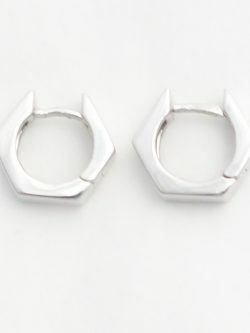 Length of Earings: 12mm* Width of Earrings: 13.5mm* *all measurements are approximations. All prices are in Canadian dollars. Precious 10k baby bracelet makes a great baby gift. The front of the plate has a matte finish while the back of the plate has a polished finish. The bracelet can be worn at any size since the spring ring can be closed in any link so the baby can continue wearing it as they grow. A great gift that could be past on for generations. 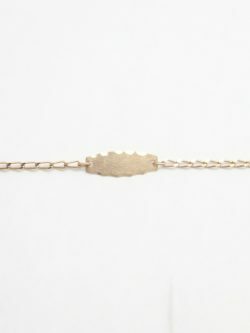 Length of Bracelet: 5.75inches* Width of Bracelet: 2mm* Length of I.D. plate: 19mm* Width of I.D. plate: 7mm* *all measurements are approximations. All prices are in Canadian dollars. 14k orthodox cross made in Italy. Chain not included. Length: 32mm* Width: 13mm* *all measurements are approximations.